Sorry for the late post. Today is my birthday and I didn't realize that the hubs had things planned and I was away from the computer all day. 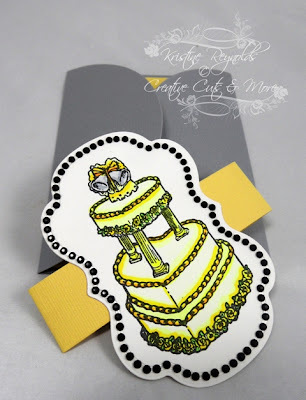 I have found another favorite from Biblical Impressions, This image is fun to color and even though sunflowers are typically yellow, I had fun with this stamp, 35801 - Med Sunflower and made a bright note card set for a gift. I have had this image colored and sitting on my desk for a couple of months so I finally decided to quit moving it around and do something with it! I was feeling a little challenged because it's a pretty large image but I finally decided that the best way to deal with it was to use the out of the box technique to help it fit on a 5 1/4" square card base. Here is Howling Coyote by QKR Stampede. I colored the coyote image with Copic Markers. Kept the card design simple since the image is so big. This fun image is great for a thank you card, love, or just because and it's available in red rubber or digi. 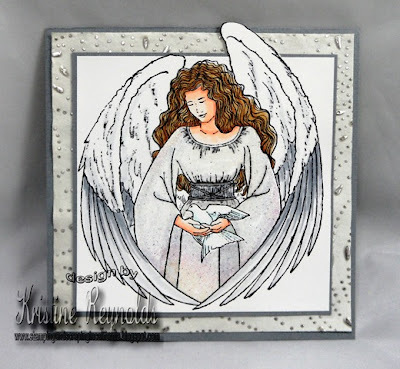 A few weeks ago Maribeth (Owner of Eureka Stamps) asked her design team to make some samples of some Angel cards for her boards that she uses at the stamp shows she goes to. I ordered this Angel to play with. She is rather large...4" x 5" but she is really all you need to make a beautiful card! I stamped her with Memento Tuxedo Black dye ink and colored her with Copic Markers. Then I colored her dress with VersaMarker and embossed the dress with Kaleidoscope embossing powder by Stampendous. I trimmed the image down leaving the top of her wing "out of the box". 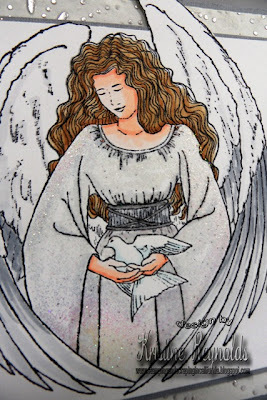 This card would be perfect for so many occasions when someone needs to know an angel is watching out for them! I hope Angels are watching out for you! 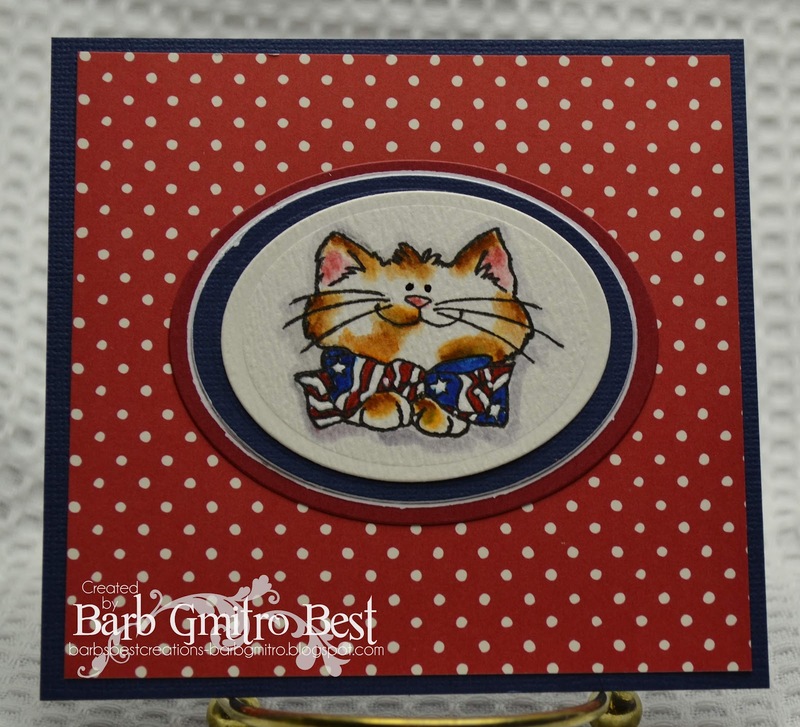 Eureka Stamp called Patriotic Kitty. 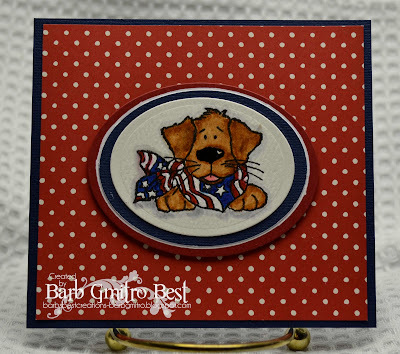 Patriotic puppy from my last Eureka post! and My Sunshine (#9302) from QKR Stampede. I wanted to make something from my scrap stash, so I stamped the Lady bug border onto red card stock and used white embossing powder to heat emboss the My Sunshine sentiment. as it is only one layer and no bulky embellishments to increase the postage or to get crushed during it's journey. Thank you for popping in today, I hope you will come again soon. online stores and see what images you might want to use for your next cards or projects. When I seen this stamp 21301 Iris, I just had to order it because it was one of my Mom's favorite. Eureka has many more to make a Mother's day or sympathy card with. This is one of Eureka’s larger images so it will not fit on the A2 size card (which is a half a piece of 8.5 x 11” cardstock folded in half) however if you want the image smaller you can purchase it as a digital image. My card front measures 4” x 9 .25” and fits in the business size envelope which is just a bit larger. These envelopes can be found in any store that sells envelopes and most dollar stores will carry them. The image has a flower on the bunnies but since I accidently colored one in I decided my Fiskars border punch would disguise my blunder and also add some dimension. I cut a thin strip of cardstock and inserted under the flower section of the punch, punched both ends and trimmed before punching again. The flower centers are circles cut with the Cuttlebug die Tiny Tags and they are attached with Aleene’s Paper Glaze to the flowers because the glitter cardstock has a plastic coating so the glitter doesn’t shed. They were cut smaller to suit the area and glued in place with Aleene’s tacky glue. 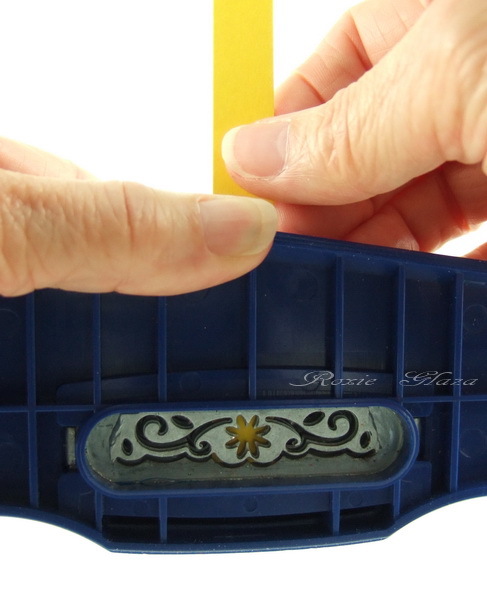 The Martha Stewart border punch was attached on top of the image panel with the ribbon butting up to the edge with the ends taped to the back. The K&Company Daisies are precut and packaged, they have sticky pop ups between the layers and for mounting to the card. 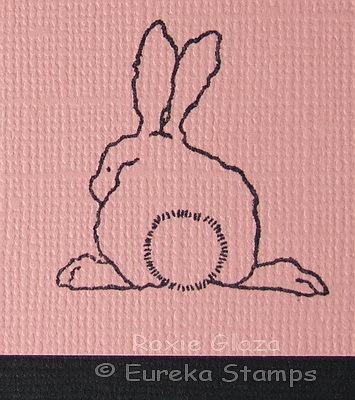 This is the Bunny Bottom image I stamped the back of the card with, then I'll add my name under it. Soooo Cute! 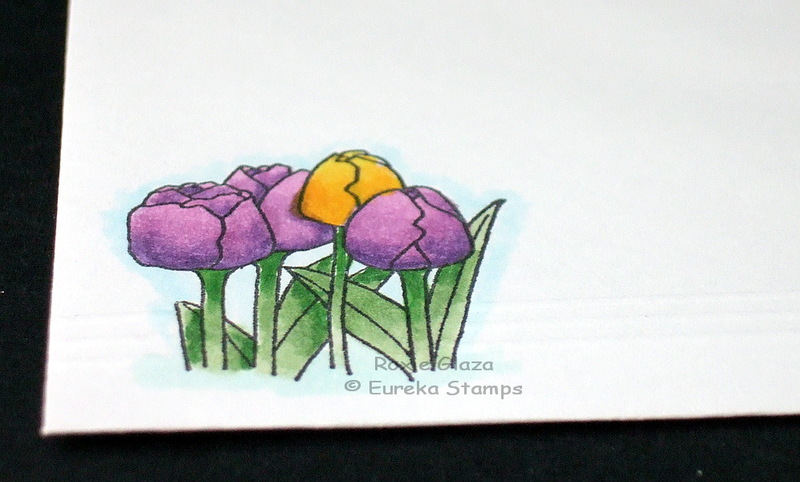 The envelope was stamped with the two flower borders you'll find on the images list and colored with Copics. Hello! This is Jessica B. for Eureka Stamps today! I am so glad today is Thursday as it is one day closer to the weekend! I love the weekends. Today I have something to share that I am going to use as some little treat bags for Easter. Here is a a little info about the "bag" I used..It isn't really a bag HA! The Kraft paper used on the bag was actually some packing filler from something either I or my husband has ordered recently and there was an enormous amount of..I hated to let it go to waste....so I came up with the idea to make some treat "bags" for Easter. This is what I came up with..
Have a great day and please drop back in..the rest of the DT is fantastic..I know you will always see something great! I don't know how it is that I missed these cute and versatile images from Biblical Impressions for so long, but once I saw them I knew they had wonderful potential for fun cards! 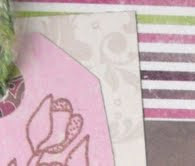 There is a small puzzle-piece border stamp, and a trio stamp of slightly larger pieces; scroll about 2/3 down the miscellaneous page to see/order the images. 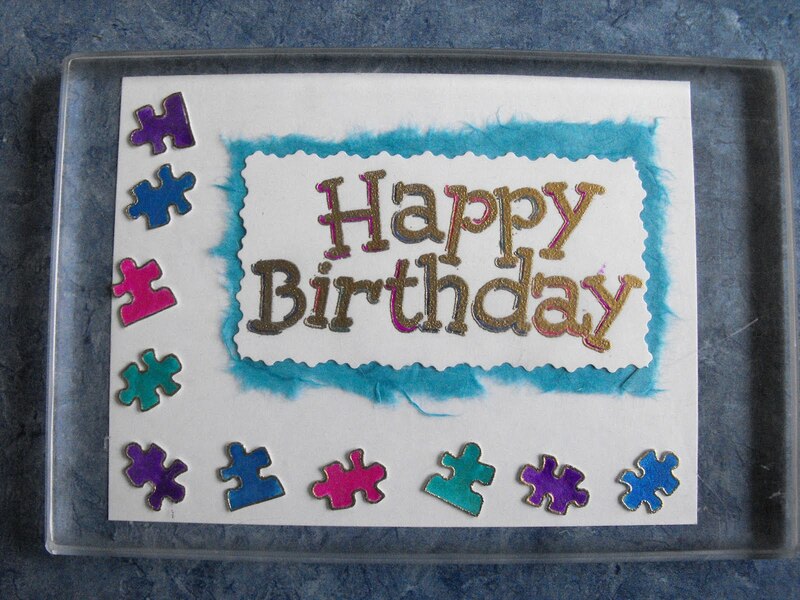 For this first card, I used the cuttlebug puzzle template, making white, yellow, blue, pink, and white puzzle sets. Then I assembled the puzzle, and inked the stamp with versamark ink. Then I separated the pieces and used cotton swabs to gently apply colored chalks to the individual pieces. I had hoped to avoid smearing the chalk on the white puzzle pieces, but I couldn't manage to do so. Perhaps if I had used a brush instead of cotton swabs it would have worked out better. For the card, I embossed with white embossing powder. Then I stamped the larger puzzle pieces on top of the floral images, yielding about five pieces from each. After cutting out and attaching to panel, I stamped thinking of you in the corner. I also wanted to make a more "elegant" card with the smaller puzzle pieces, using H20's and gold embossing to create the effect. I envisioned placing them down the long side of a cream colored card... But although I really like how they look, well, it just seemed odd to have elegant puzzle pieces! So I went for a cute and glitzy birthday. However, I was really, really tired while coloring the Happy Birthday image, and kept making mistakes. I was doing it on "borrowed time," so I couldn't take time to remake it. So, once again, just to give you an idea of how the pieces make a nice border, I threw the card together without gluing anything down and placed an acrylic mount over it to hold it in place. I do this all the time when laying out card possibilites. "Smiling Flowers" (#17002) from QKR Stampede. I love this happy image. I stamped it onto white card stock and colored it with water color crayons. I wanted bright, happy colors because they remind me of spring, which I am hoping will be here soon. QKR Stampede has a lot of images that will conjure up thoughts of spring. Stop into the store and see what you can find to make a few "happy" cards. adhered them with mounting tape. to give it a water like look. Happy Tuesday.!! 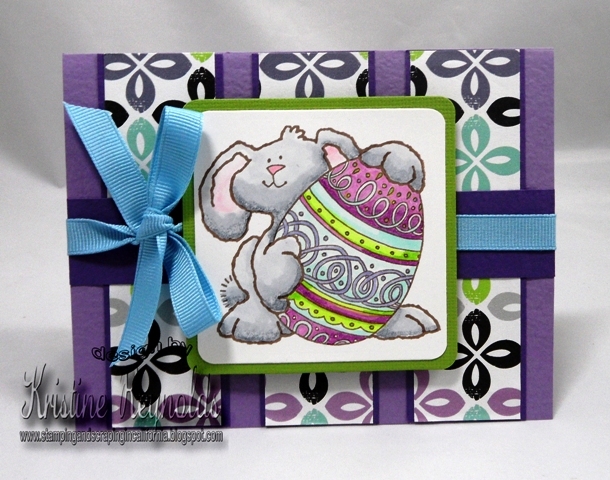 This is Jessica B. for QKR Stampede with a CAS ( clean and simple) card for you today. I love CAS..
For my card I used this oh so pretty blossom. If you haven't checked out QKR recently ...you might want to. It is full of cute as well a pretty stamps.. So that is it for me today! My flower beds are calling my name! I hope you are having a great week! I love this verse, I especially love it when its sung at church. My inspiration for this then was very easy. 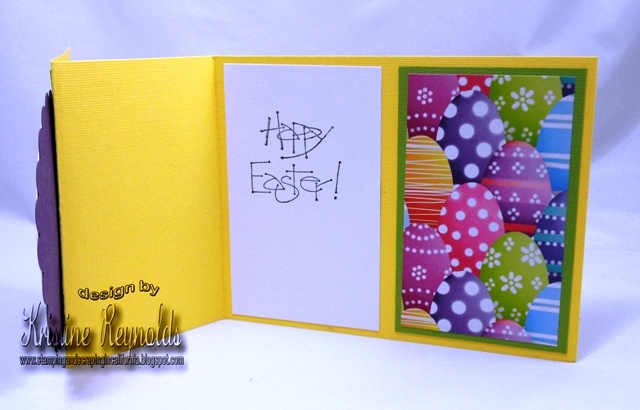 I used spring colours in the grass and card stock. Diamond White Card, Saffron Bazzill and a sheer white ribbon to hang this from my wall as inspiration. I stamped the image in Chocolate Chip ink and ran over the image in a light fawn flex marker, it really didn't need any more than a quick brush. The image is very detailed and the stamp is so deep that there are no smudges. I have used two different companies here Eureka and Biblical. and both tie in beautifully don't you think?? I love to make backgrounds from my stamps, but sometimes it's really handy to have printed papers; it's a bit challenging to focus on cardmaking at the moment. Our seventeen year old niece, Meredith, just went to be with the Lord after a sudden diagnosis of brain cancer last month. My prayers for the family (in addition to her parents, she had nine younger siblings) are, as with this blessing of Aaron, priest and brother of Moses, for the Lord to bless and keep them, to make His face shine upon them, and give them continuing peace. 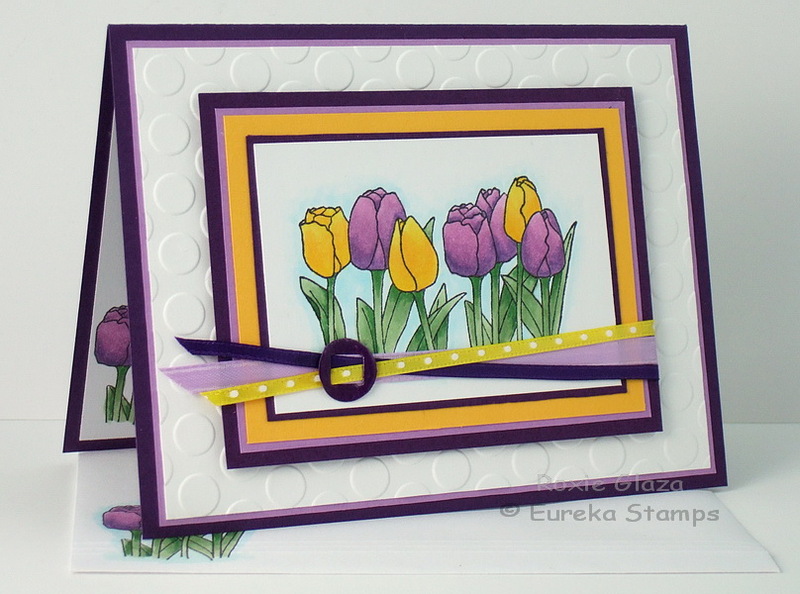 Today I wanted to share a card I made using the Tulip Frame stamp from Eureka Stamps. This great image comes in two sizes. I used the larger of the two. I love this image, because it pretty much makes the card with just one stamp. I stamped this one on cream CS, and colored with water color crayons. I trimmed it down, and layered onto a purple CS square, and a pastel green base. For a sentiment I used a sticker. Such a pretty spring image! Hi there. Wow...what a weekend! We had some gorgeous unseasonably warm weather. I swear it hit almost 80 yesterday. Here is WNY, we usually have snow still! We spent our entire weekend enjoying the outside fresh spring air. Bikes, scooters, basketball, walks, sidewalk chalk...oh I love it! Well I did manage to take a few minutes to sneak off to my craft room and create a pretty Easter card using the John 8:12 stamp from Biblical Impressions. I found the cross PP in my stash left over from a project I made last year. 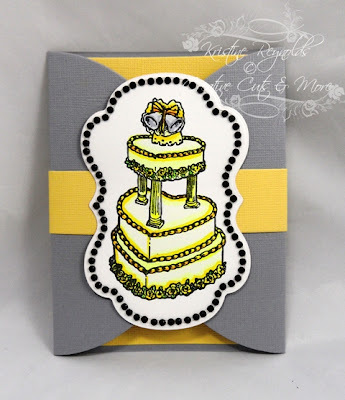 I thought it went perfect with this stamp (and it was already cut to fit a card front exact!). I layered the PP onto some kraft CS, and added the ribbon. The image, I stamped onto some silver metallic CS, and added some glitter to the tulips. I love the simple colors of this card. Well that is all for now. Have a fabulous week! Today I am sitting in my friends house crafting, we have sent the men to the pub to watch football (soccer) and my daughter Katie is lying on the sofa, I was treated this morning to a lovely bunch of flowers and a cute card. I then had to make my own coffee and roll n bacon! Seeing as it is Mothering Sunday I was allowed time to craft and have spent a rather peaceful day with my die cutting, inking and stamping supplies, Helens son has been giving us coffee refills every other hour or so and its really nice :) I will go and make dinner in a little while but wanted to share with you the sample I had made. The sample is a white on white card with a hint of peach. 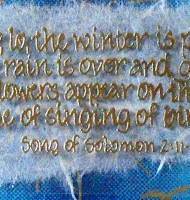 I used the beautiful Matthew 6: 26-27 stamp (which can be bought here http://www.biblicalstamps.com/proddetail.php?prod=38404) and I can only apologise in advance for the photographs, Scottish Springtime involves a lot of bright light but at 6 degrees centigrade outside its still chilly. I don't have a "green" card to share with you today but may the luck of the Irish be with you! I needed to build up my baby card stash and Biblical Impressions has some of the cutest stamps to make baby cards. I used 30208 - Bundle for my card. Just because their name is Biblical Impressions doesn't mean all they offer is religious stamps (they are some good ones of those) , there are so many others you should check them out. Hello! Welcome to the "For the Birds!" QKR Stampede Blog Hop. This month the design team is featuring some of the wonderful bird images available at QKR Stampede. Here is a little sneak peak at one of the projects you will see on the hop. If at anytime during the hop a link isn't working, hop on back here and you will find links to all the participating blogs. and see what she has to show you. Here are all the participants. Once you are finished, please come back and let us know how you liked the hop. Easter is right around the corner and will be here before you know it! 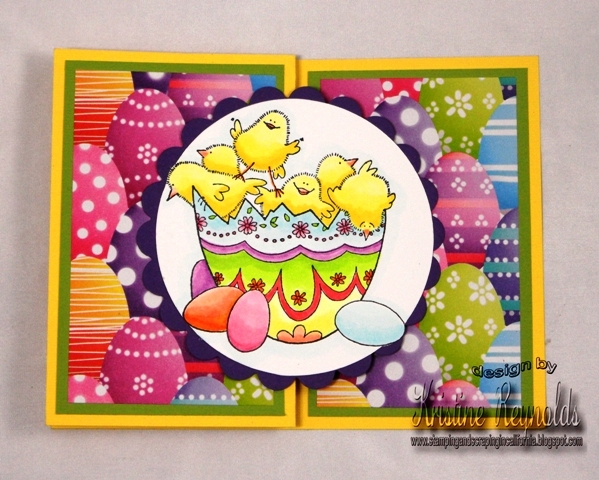 Eureka Stamps has a bunch of adorable Easter stamps for all your stamping needs! For today's project I made a Joy Fold Card. I used Large Chicks in Egg from Eureka Stamps. The paper is from Hobby Lobby and I colored the image with Copic markers. Here's another look at it as it opens up. And here's the inside. 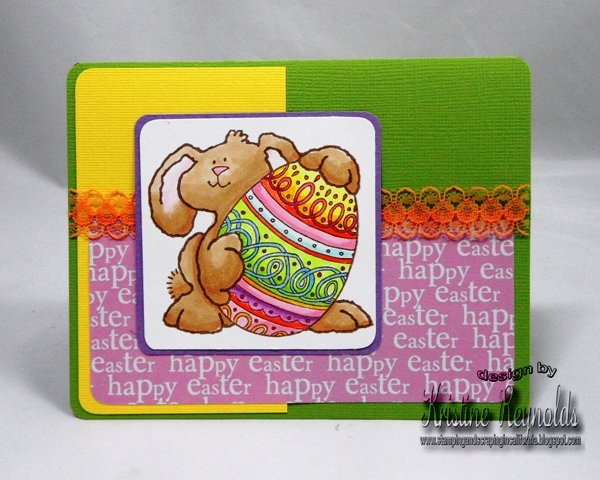 I used Happy Easter sentiment by Eureka Stamps. It's a length wise stamp but I just inked up the "Happy" first and stamped it and then I inked up "Easter" and stamped it underneath! You can check out the great selection of Easter Stamps by Eureka Stamps HERE. then colored with Tombow markers. for the white spots on his scarf. I posted this card on my blog a couple of weeks ago but I thought I would post it here too just in case you missed it. I had made this card for my sister when she got married last November but then when it came time to send off her gift I couldn't find where I had stashed it. Of course I found it shortly after. 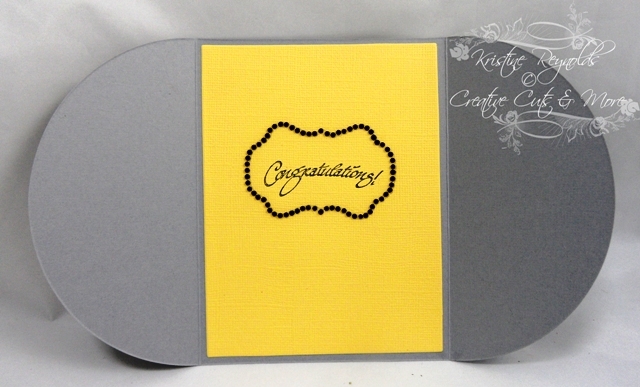 I used a die cut Gate Fold card from Creative Cuts & More cut from grey paper to begin with. The cake is from QKR Stampede stamps. The sentiment is from Eureka Stamps. The "bling" is Nestabling by Spellbinders. Here is a closer look with the band pulled off. these were her wedding colors! Here is my sissy and her 13 (yes, I said 13!) 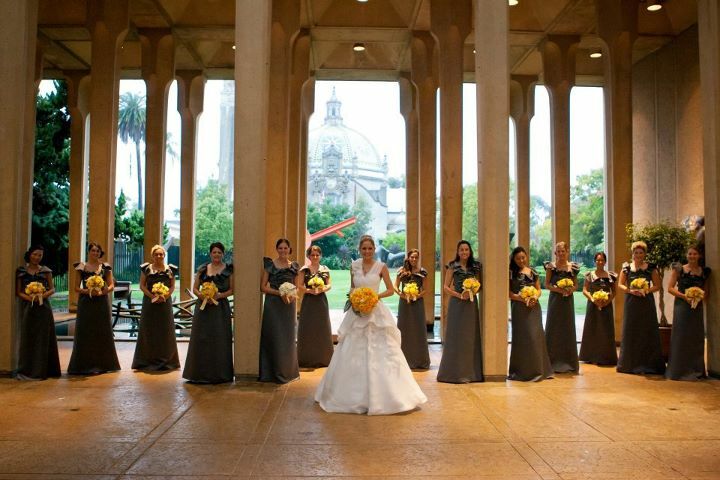 bridesmaids! My daughter and I are in there somewhere!!! Ok, that is it for me today! Thanks for dropping by and please keep checking back here to see what the other DT members have for ya! Have a great Tuesday! I thought this was a beautiful image and even more so, once it was colored with water color crayons. I also used a bit of home made "flower soft" type material and some Stickles. 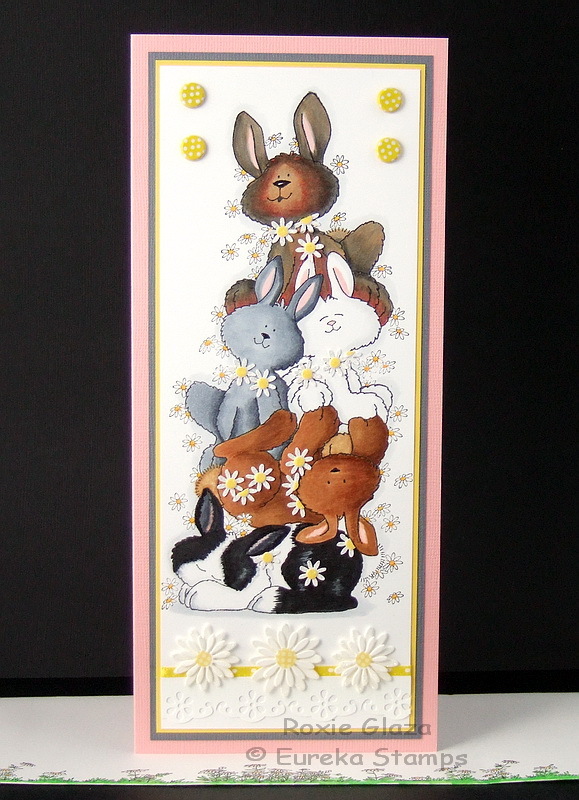 Isn't this a beautiful card for Easter time? Eureka! Stamps store and take a look. Thanks for stopping by today, leave a comment and let us know what you think. Then pop over to the Eureka! Stamps site. 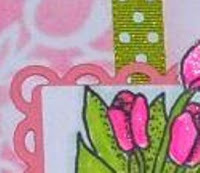 all things Spring so that you can have plenty of time to get some great new stamps for your Spring and Easter projects! 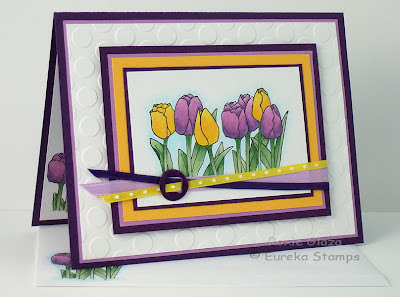 Eureka Stamps has a ton of awesome Spring and Easter images available in unmounted red rubber and in digital and you are sure to be inspired to create something special for your loved ones after this hop! We are starting off the hop with Large Bunny with Egg by Design Team Leader, Kristine. If you are looking for more Spring and Easter inspiration you'll want to check out this months Blog Hop! 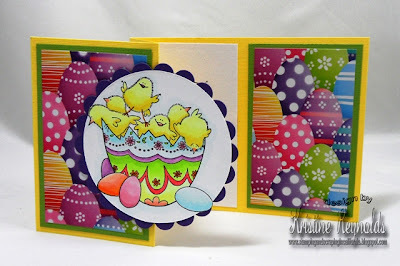 I love this Eureka Stamps background Stamp 32401 Names Background and with Easter coming it makes a great Easter card. 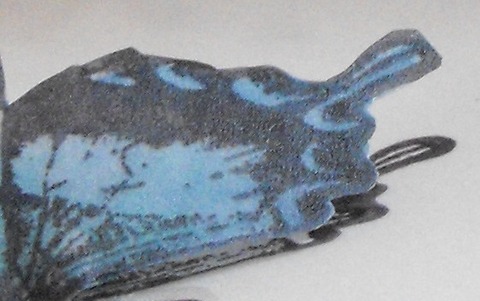 I stamped the entire image which is 4 X 4.75 but then used a Spellbinders die and cut it to a smaller image, then sponged the entire image while it was still in the die. I then inked the edges to give it a more aged look. 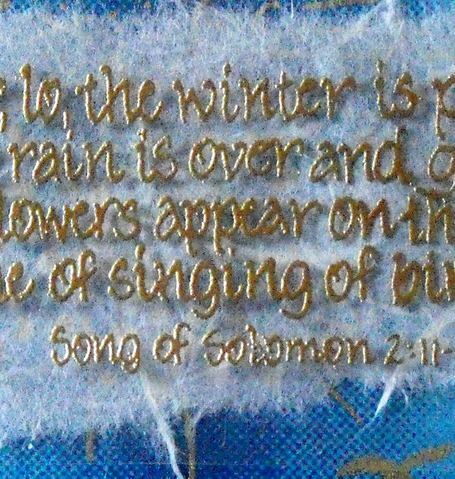 Hi there and welcome to the Biblical Impressions Monthly Hop, our theme this month is Spring Is In The Air. aren't you ready for spring I know I am. Here are a few snippets of what is in store as you hop along. Please leave a comment on each members blog as we all need a little encouragement. You will start with Barb and hop along. The hop line up is below in case you get lost along the way you can always come back here and find where you need to go. 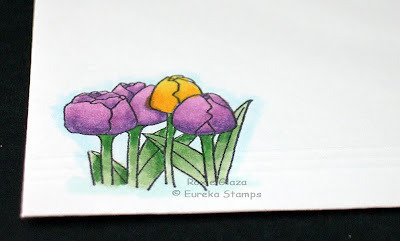 Here's a wonderful combo of colors using the Tulips image from Eureka Stamps. EK Success punch was sued to cut the buckle and covered it with Aleene’s Paper Glaze to create a shiny finish and it also adds stability. The ribbon that wraps around the right side of the panel is taped to the back side. I thread the ribbon though the buckle before attaching it to the card and the ribbon is secured to the card panel with the Paper Glaze product on the left side of the buckle. 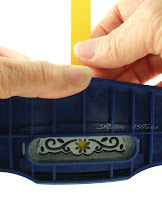 The buckle is attached with double sided tape and a touch of Aleene’s tacky glue to each side. Perfect Layers tools from Perfect Paper Crafting was used to cut the even borders. Scor-Pal was used to emboss lines across the envelope stopping at the image. Thanks.... for sticking your neck out! Today I'd like to share a thank you card with you. to make this cute card. He was stamped onto white card stock and colored with watercolor crayons. The 'thanks' was cut on my Cricut Expressions from the Opposites Attract cartridge. "for sticking your neck out!" If you're a turtle fan, or even if you aren't stop in to QKR Stampede and see all the adorable turtle stamps available. You may end up being a turtle fan after all. Thanks for stopping today, come again soon! Good morning ( or afternoon depending ) ! 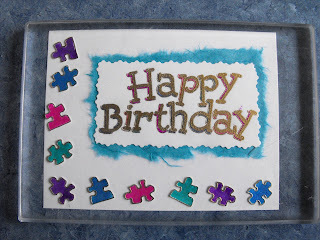 This is Jessica B. with a card to share for Eureka Stamps. I have to say the image I chose for this card is probably one of my favorite stamps...and I have a lot of stamps too. It is just so pretty, so simple and yet so fun to color. I am sure I didn't color this type of flower correctly..but that is what I call using my "artistic licence" LOL. See...isn't that a pretty image? I stamped it in Versafine black on Neenah paper ( that was cut and embossed) and colored with my Prismacolor pencils and OMS . Then I did a bit of sponging with SU! daffodil delight ink while it was still in the die. I then layered the image onto a piece of pale yellow card stock that I had punched a border onto. Next up was the ribbon which I had in my stash but it is just a piece of pretty cream colored sating ribbon, then I layered all of that onto a piece of DP then onto the card. Pretty simple..yet so light and fresh looking at the same time. If you haven't checked Eureka Stamps out in a while, please do! It is full of wonderful stamps just like the one above. 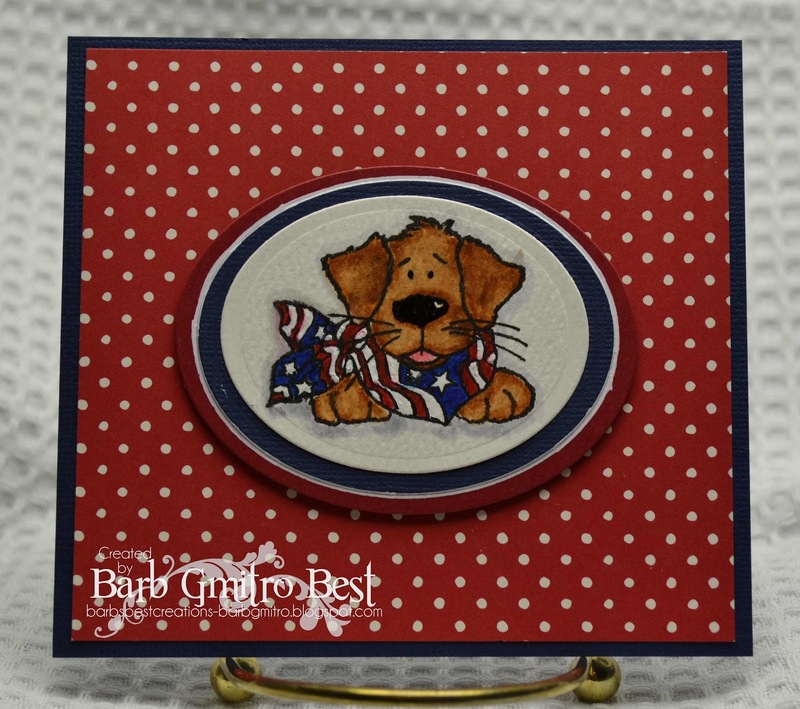 I hope you enjoyed my card today, and please keep checking back in here on the blog to see what he other talented DT members have to show off! I hope your are having a great week so far. I meant to post this here on the 1st when I had it on my blog but forgot to get over here and post it. 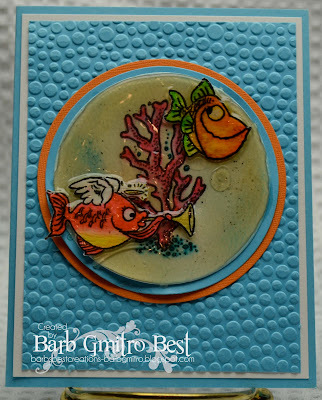 I made this one with a stamp from the Tender Thoughts line of stamps from Eureka stamps. 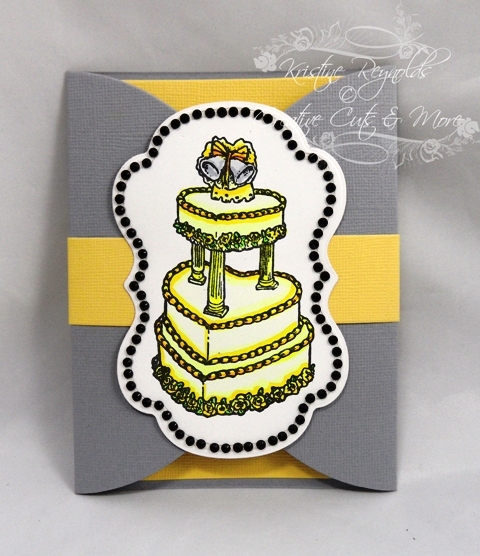 The Tender Thoughts stamps are so pretty that you don't need to do much to them to create a beautiful card. Just let the image be the star of the show! 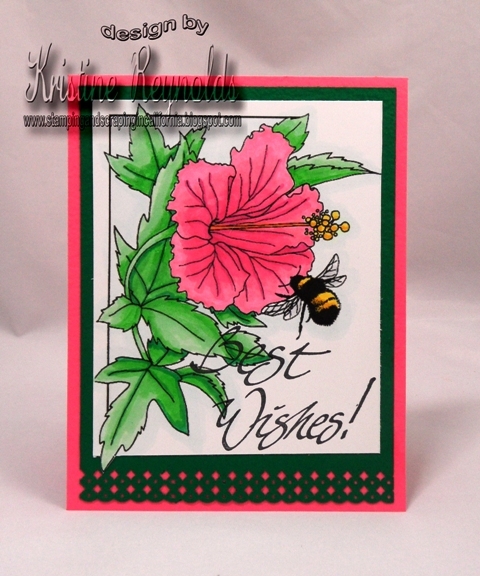 This is Hibiscus and Bee and Best Wishes from Eureka Stamps. They are both available in Digi or unmounted red rubber. I like this image because it can be paired with many different sentiments. Hope your enjoyed today's card! A friend at church this Sunday told me she is making something for all the women at our ladies' spring banquet this year that involves something with teacups, and will include two teabags to encourage fellowship. She asked if I had any text stamps that might go along with it. How funny ... I had just made this card Saturday! The teapot image comes in two sizes; I used the smaller image as a backgrounder for the Patsy Clairmont text. Hi there. Quick post for me today. Gotta run to work...uggggg. I wanted to share a card I made using the Eureka Stamps True Friends stamp. I have some wonderful friends in my life right now that are helping keep me together. SO this stamp made me think of them. I stamped the image onto cream CS, and trimmed it down. I stamped again on white CS so I could make fluffy clouds. I used watercolor crayons to color the rainbow, and layered onto pink CS. 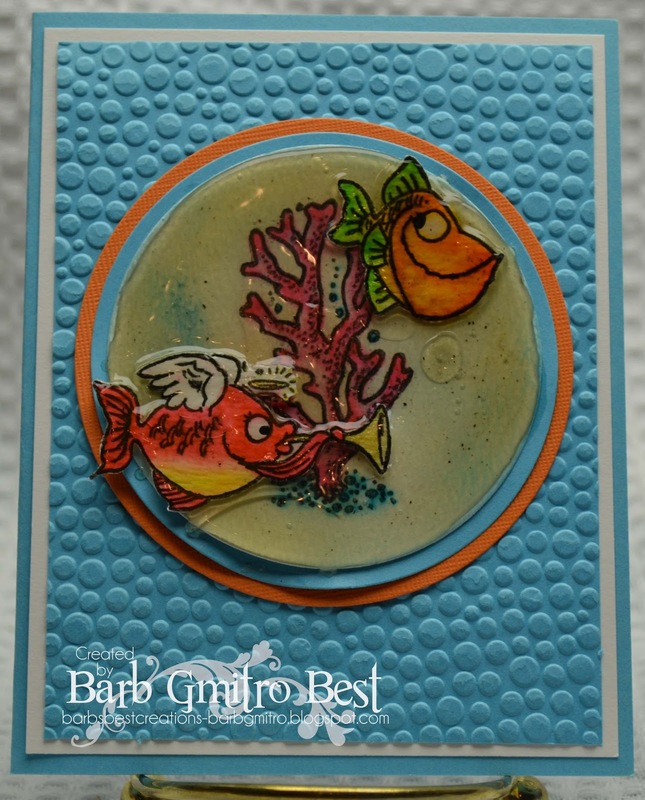 I used some rainbow CS for the background and layered onto a cream CS base.